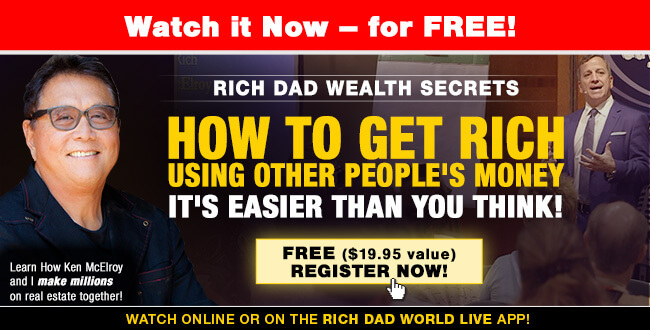 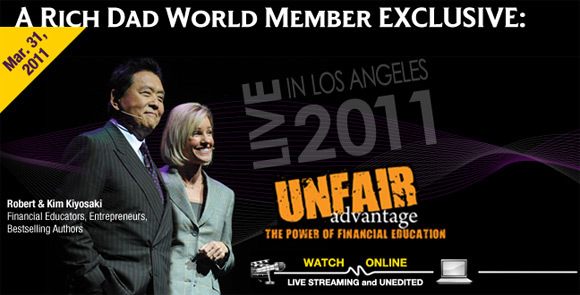 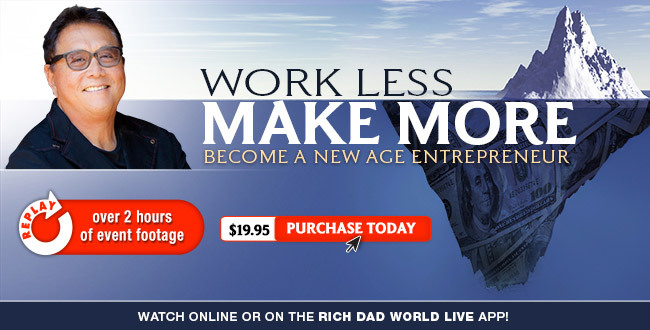 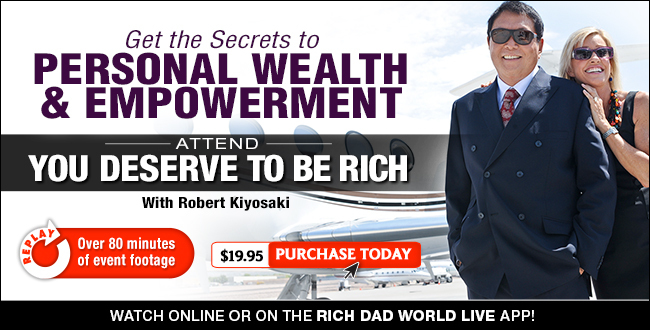 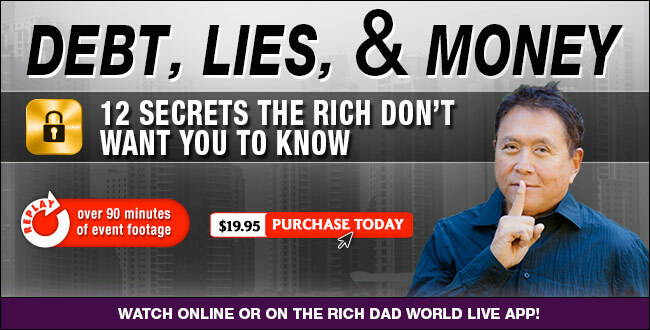 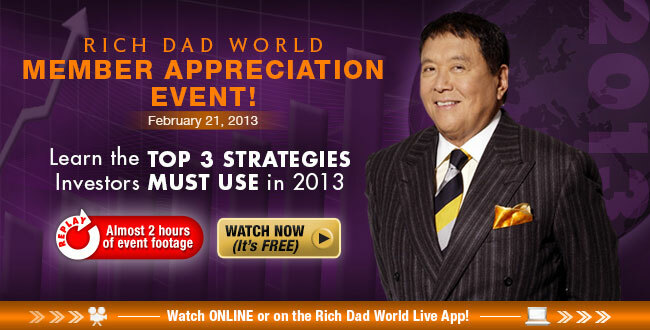 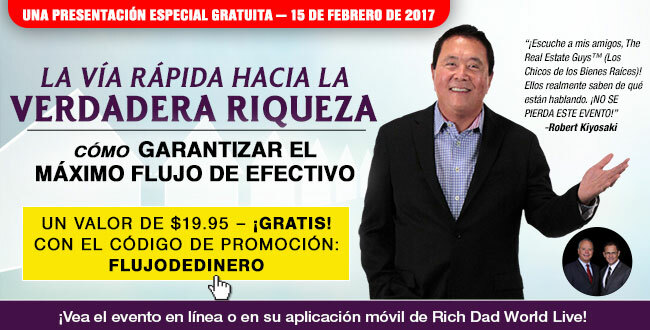 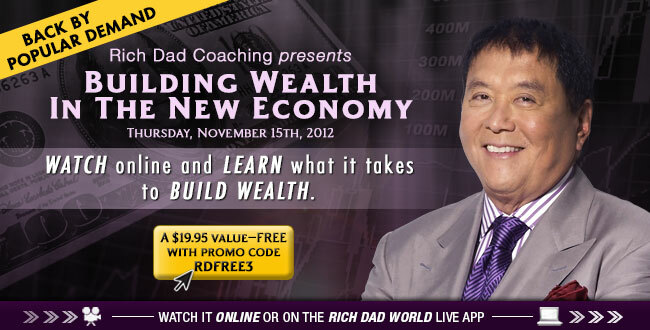 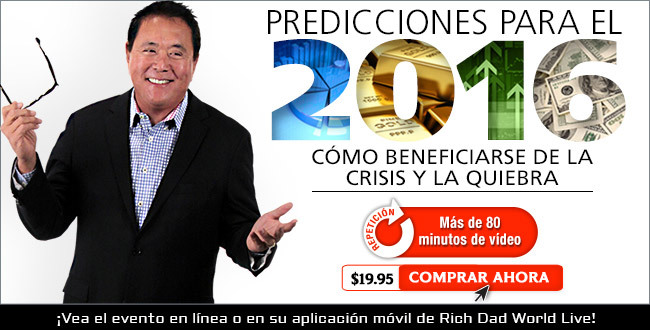 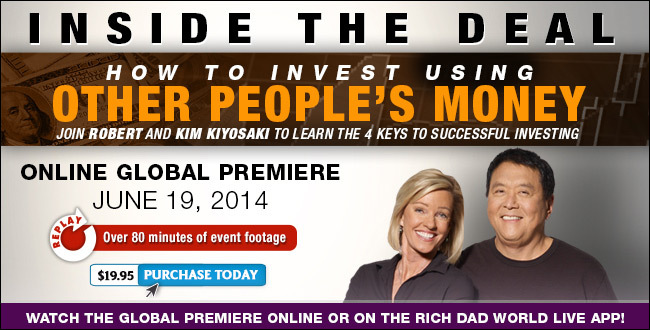 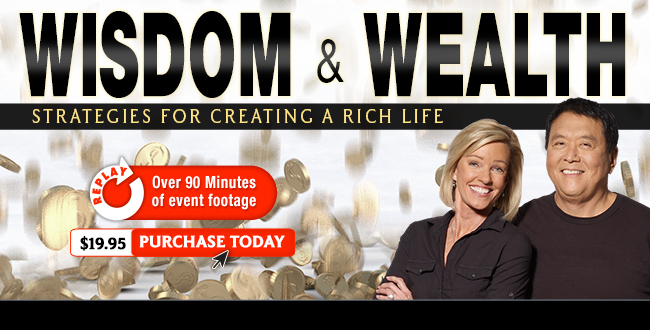 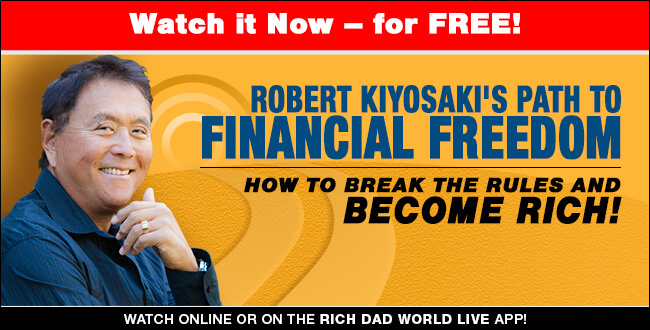 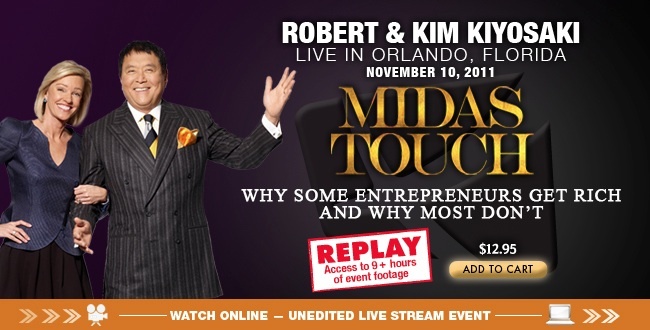 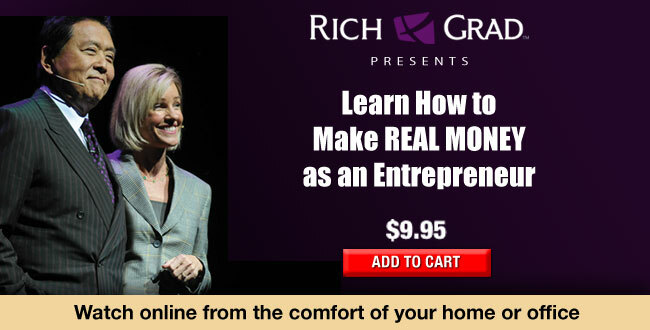 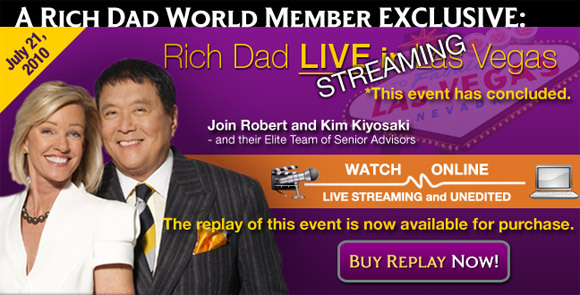 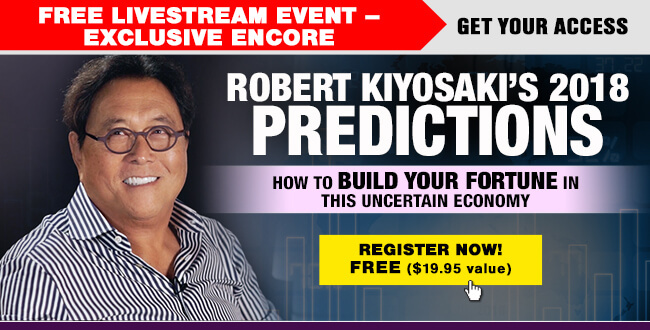 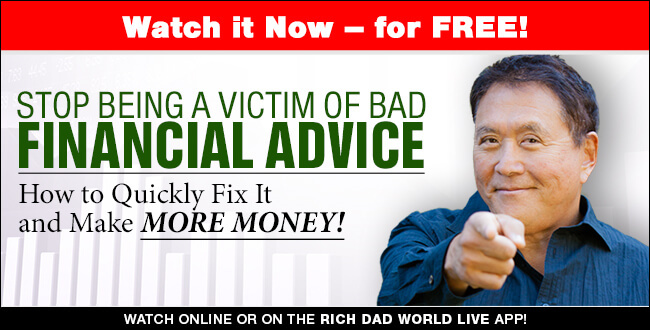 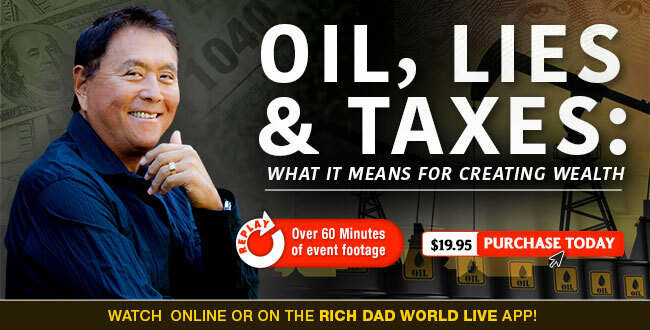 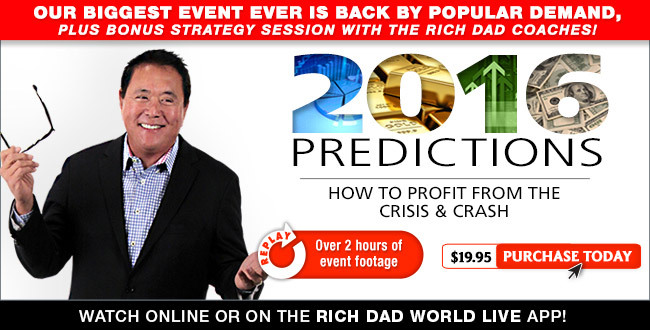 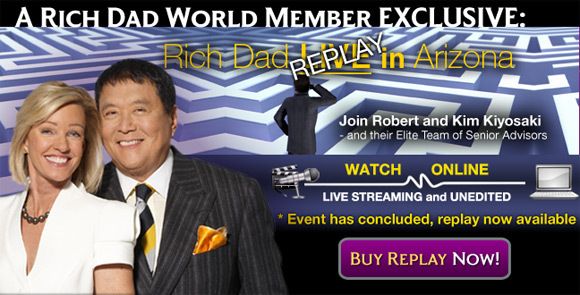 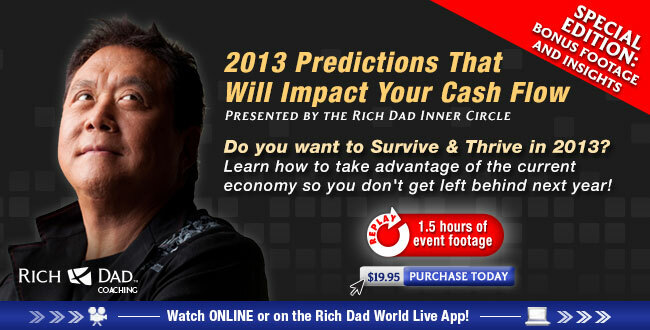 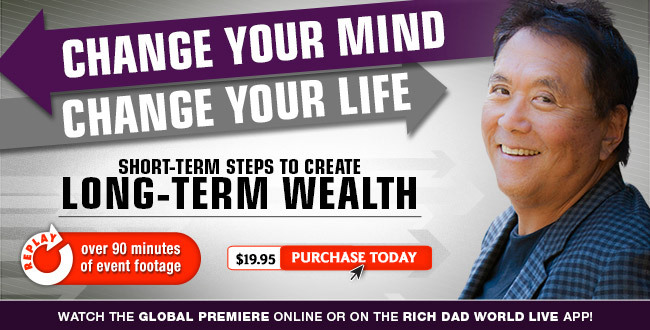 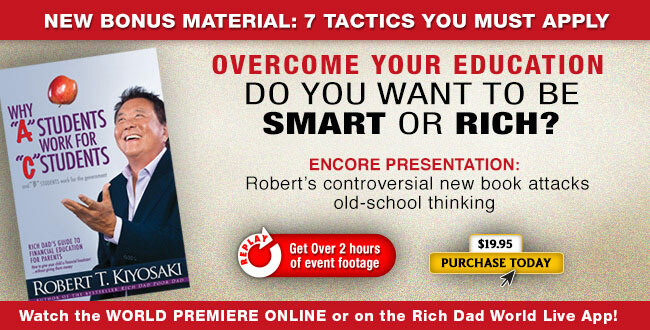 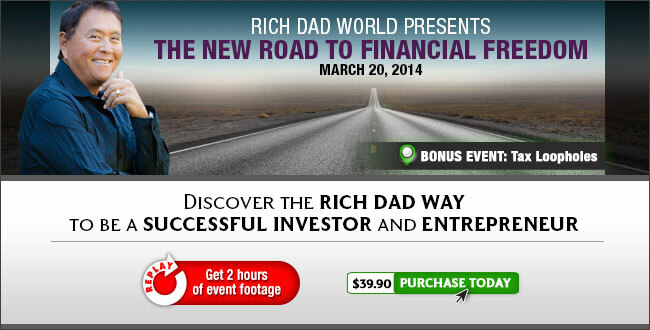 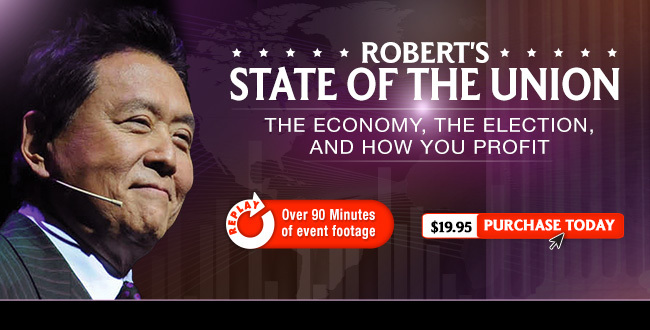 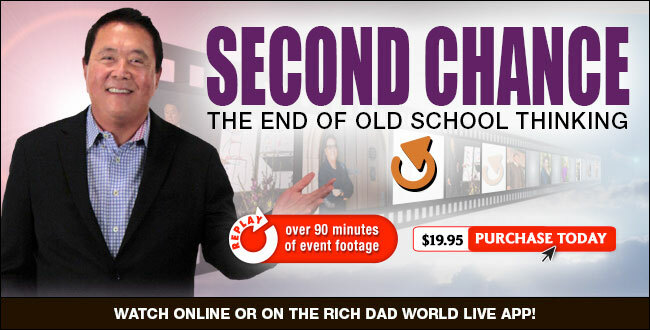 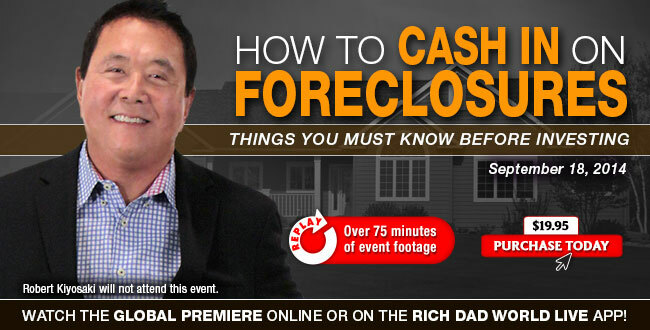 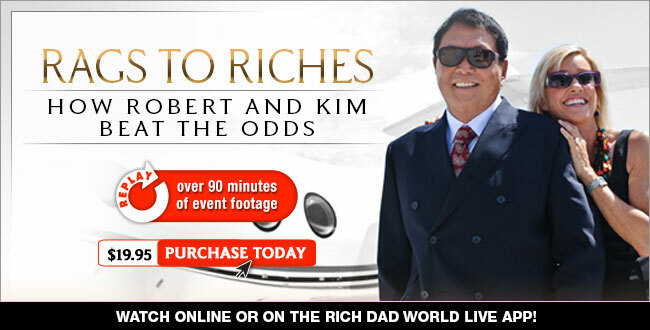 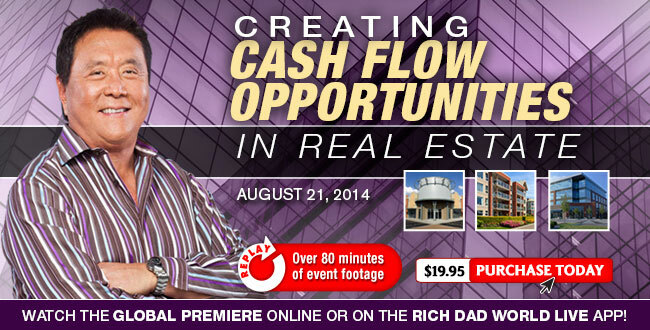 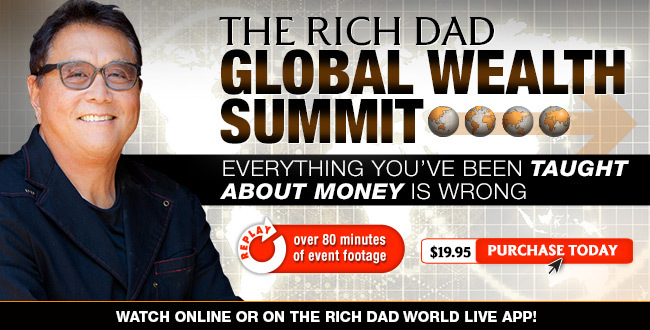 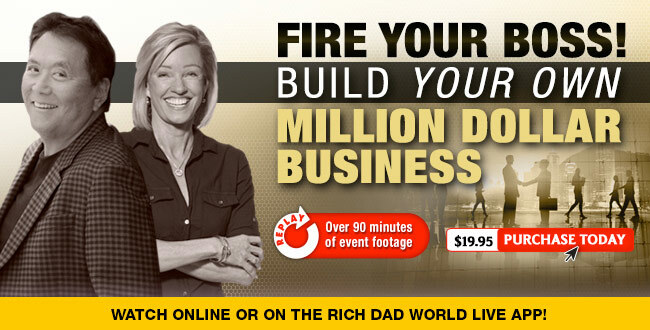 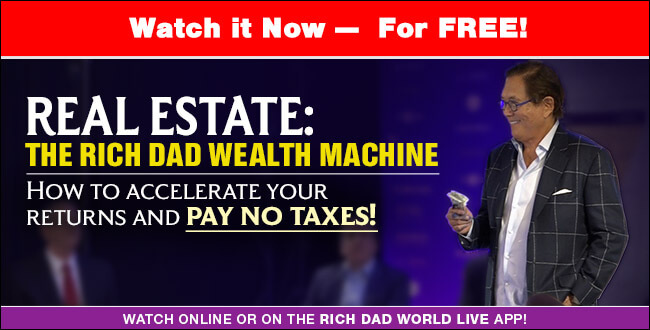 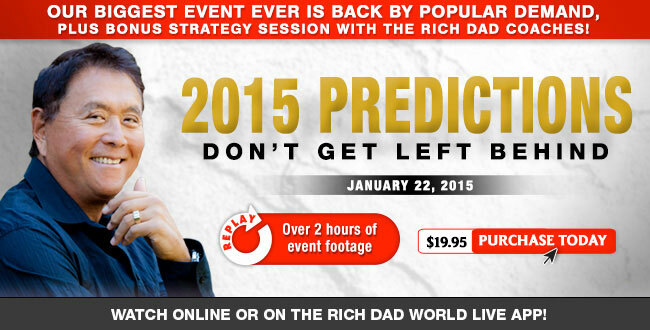 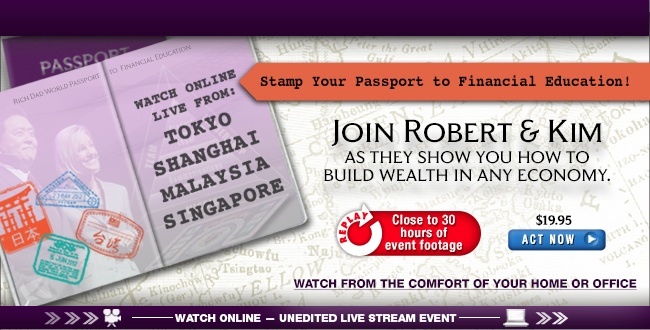 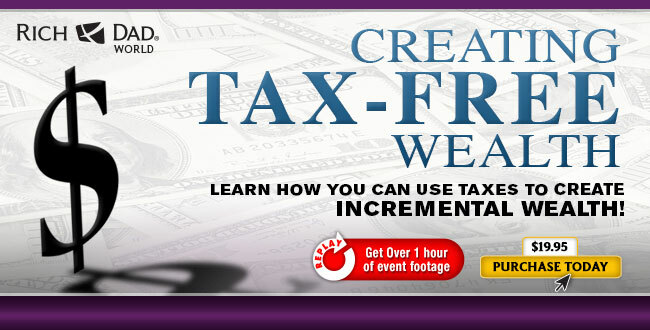 Welcome to Rich Dad World – Get the latest updates on Rich Dad World Online Events! 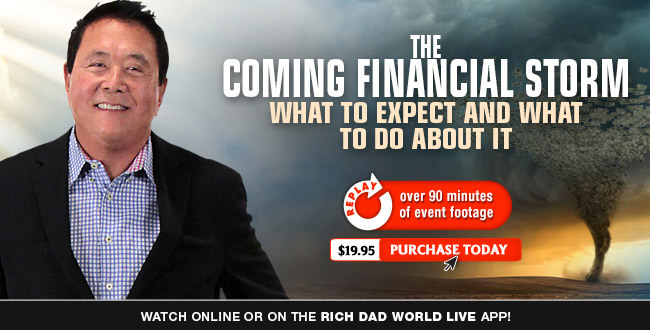 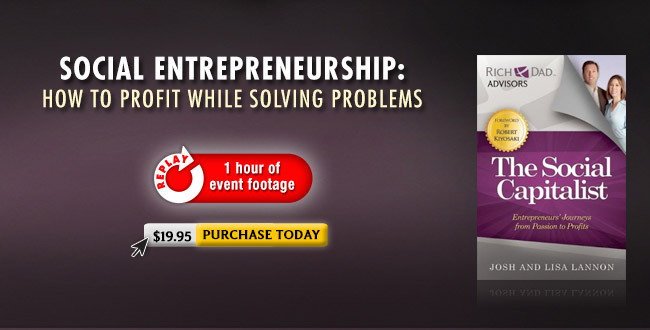 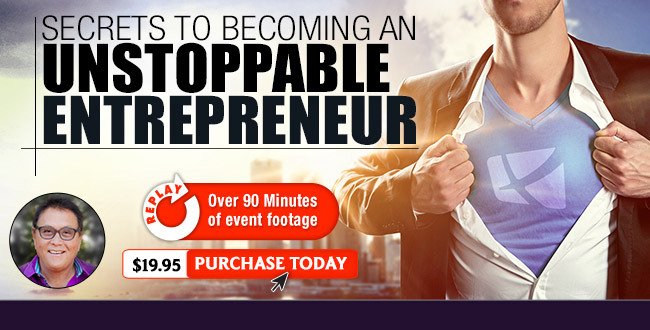 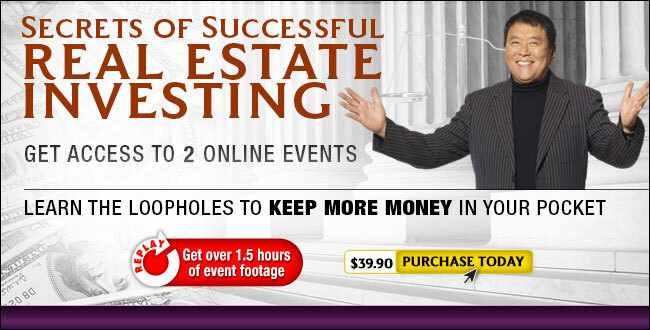 If you have already purchased an event, click here to access it now. 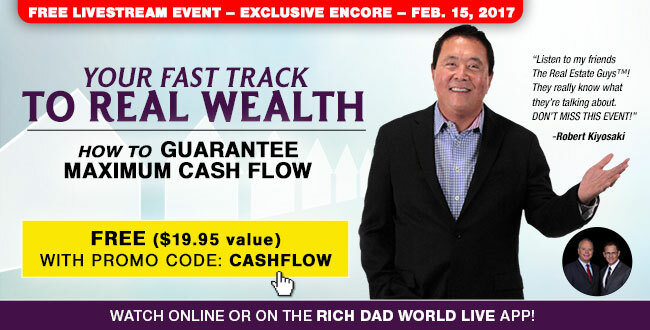 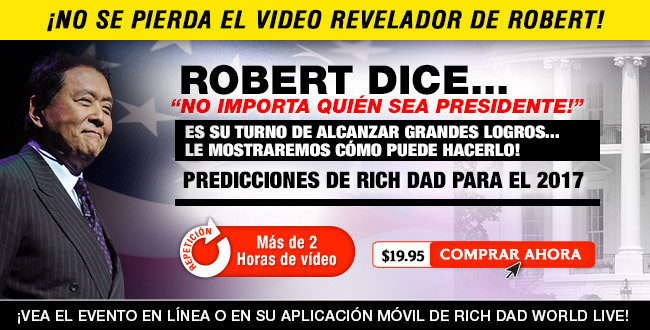 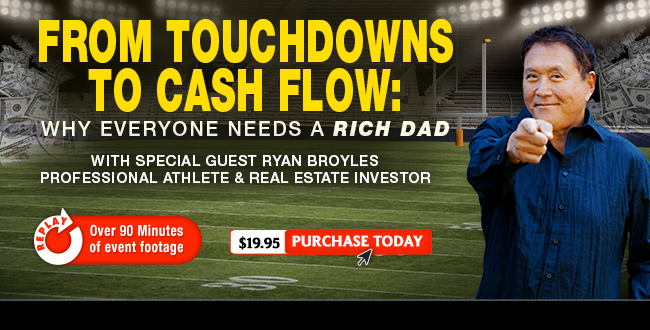 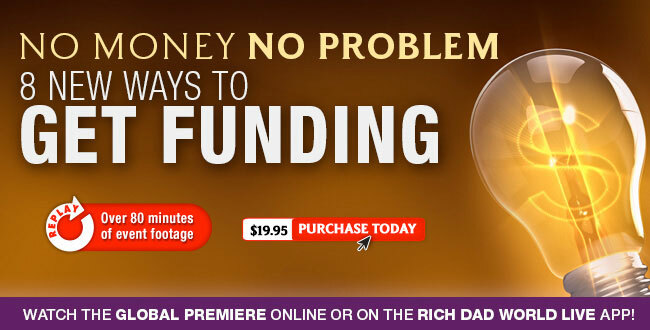 Rich Dad’s Secrets to Increasing Your Cash Flow TODAY! 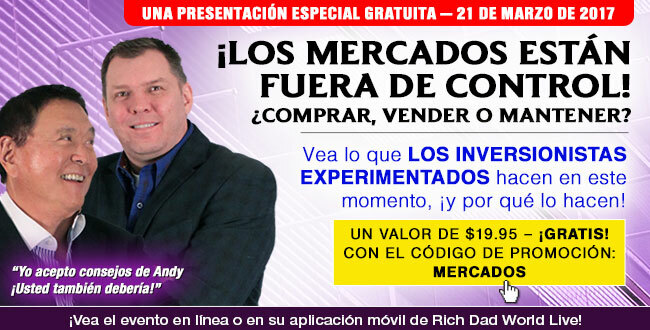 ¡Los mercados están fuera de control! 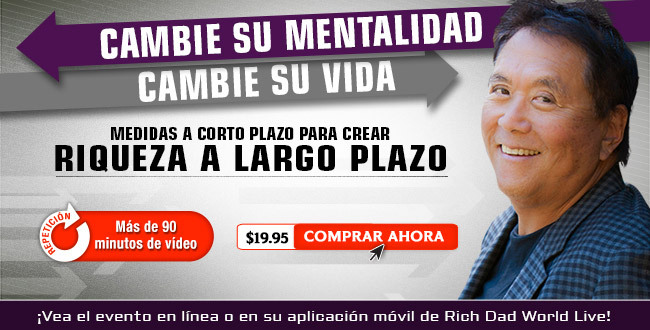 - ¿Comprar, Vender o Mantener? 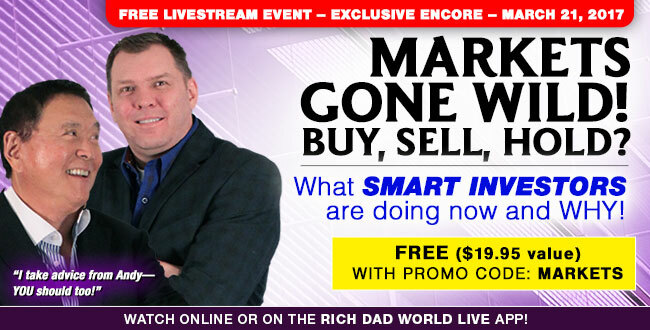 Markets Gone Wild! 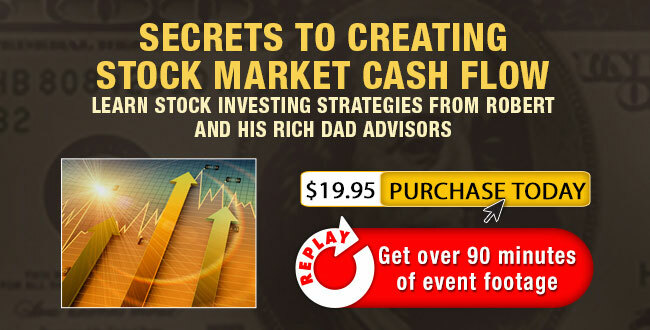 – Buy, Sell, Hold? 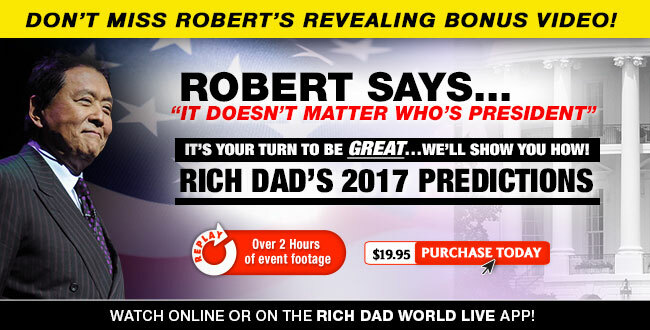 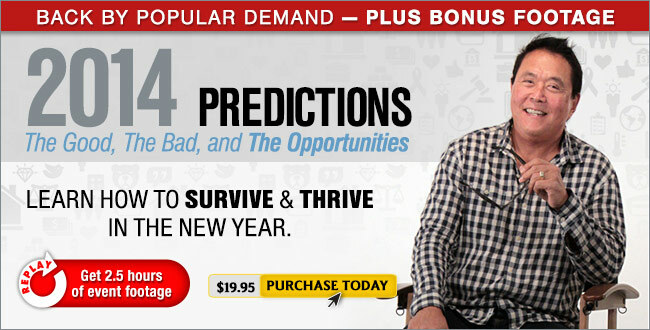 Rich Dad's 2017 Predictions: It Doesn't Matter Who's President It's Your Turn to Be Great...We'll Show You How! 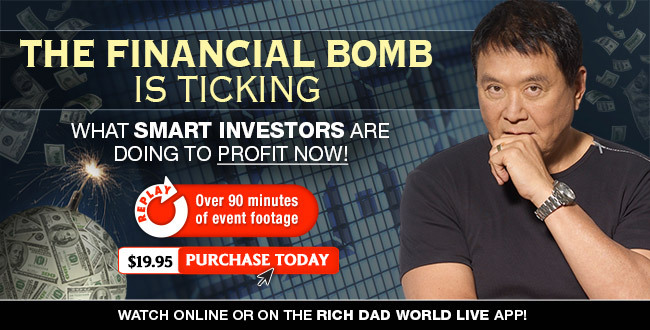 The Financial Bomb is Ticking: What Smart Investors are Doing to Profit NOW! 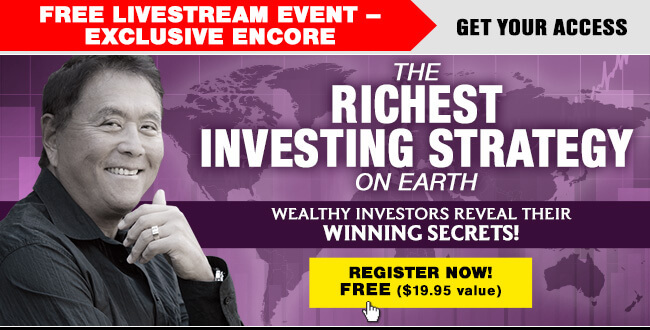 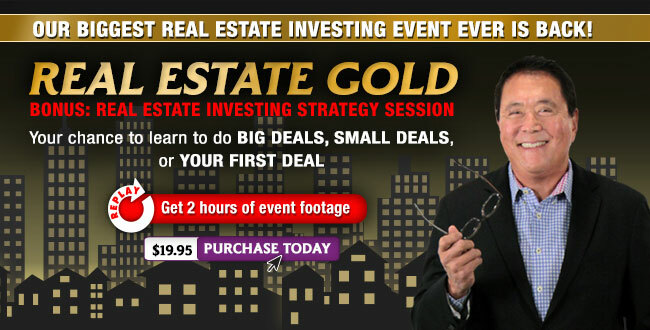 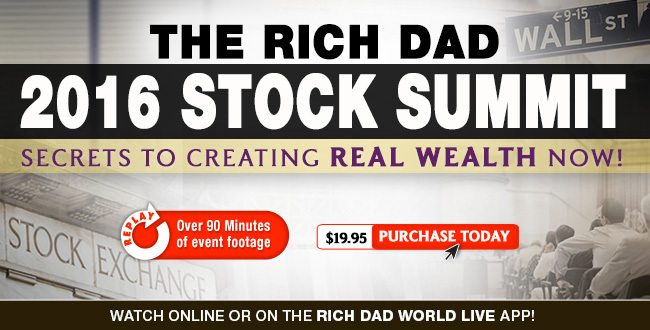 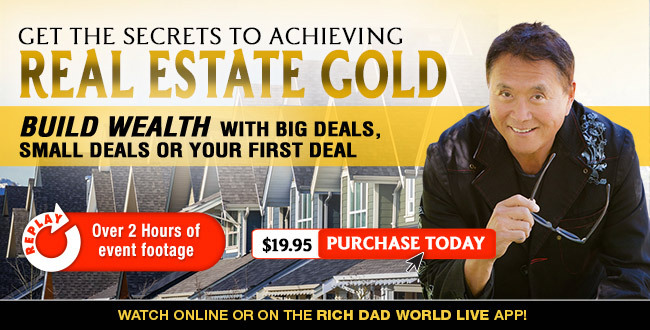 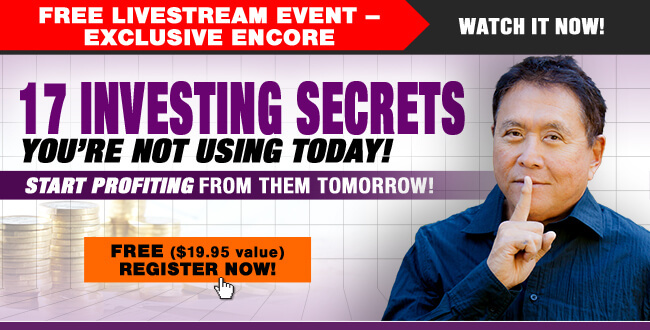 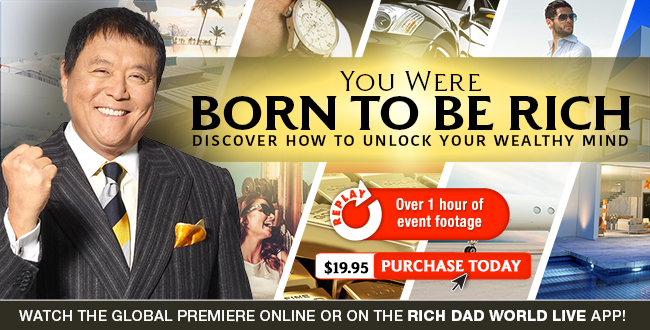 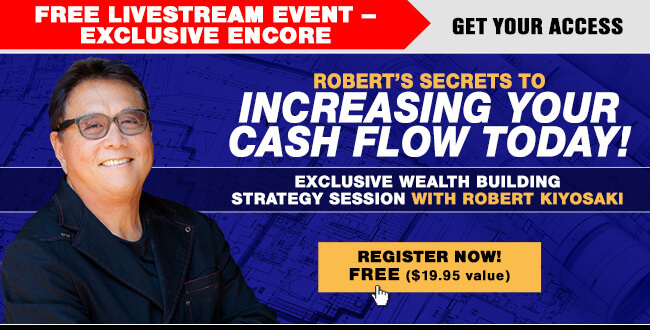 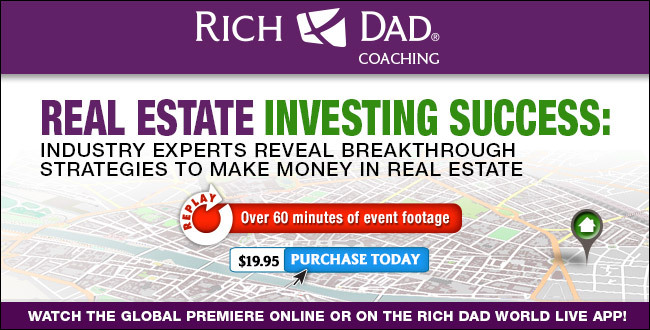 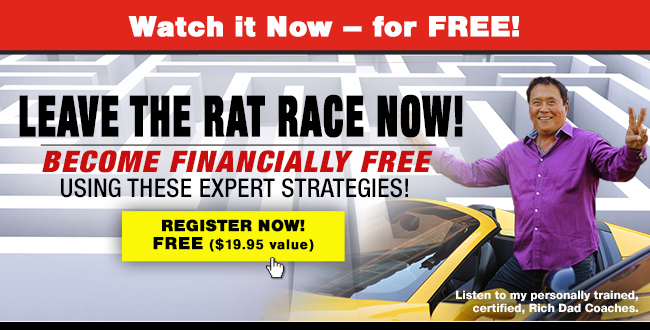 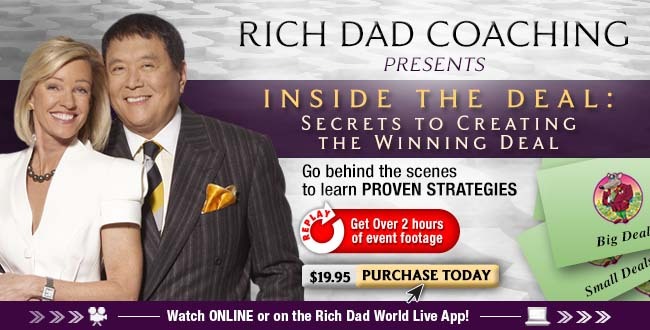 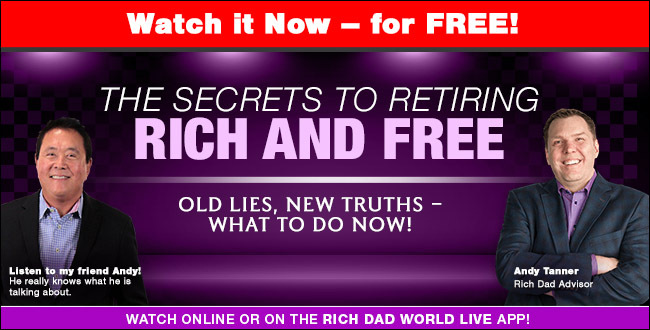 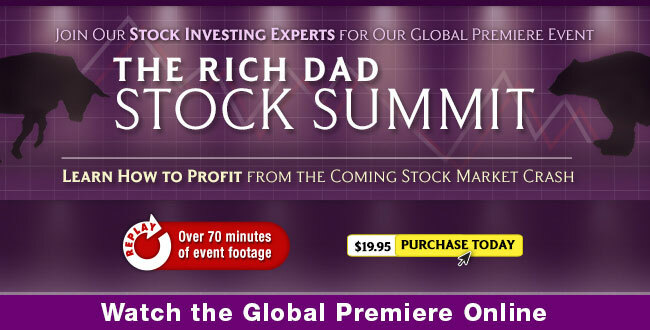 The Rich Dad 2016 Stock Summit: Secrets to Creating Real Wealth Now! 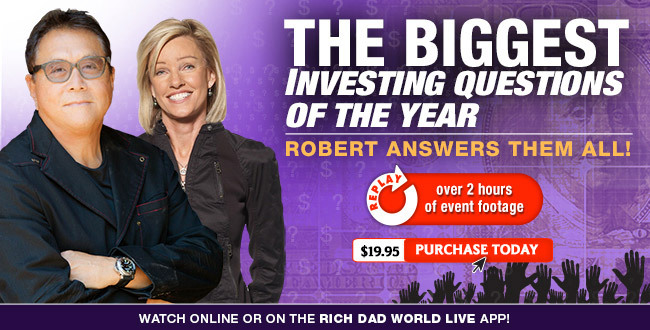 The Biggest Investing Questions of the Year: Robert Answers Them All!